A number of leading ARR Craib MSA Scottish Rally Championship (SRC) crews will head to Wales next week to contest Wales Rally GB (5/6th October). Comprising of 10 classic Welsh forest tests totalling just under 85 miles, the Wales Rally GB National Rally runs alongside the World Rally Championship qualifier which is a true test for any clubman competitor. It offers drivers the unique opportunity to pit themselves up against the best in Britain and indeed the world. The SRC has always enjoyed a strong presence on the event, once again setting up its own corner in the Deeside Rally Village in 2018. Out on the stages, the pace of the championship has been emphatically proved on a number of occasions too, with an SRC driver winning four of the previous five events since 2013. Newly crowned Scottish Rally Champions Andrew Gallacher and Jane Nicol are the favourites to retain SRC glory in their ex-Mark Higgins Ford Focus WRC. 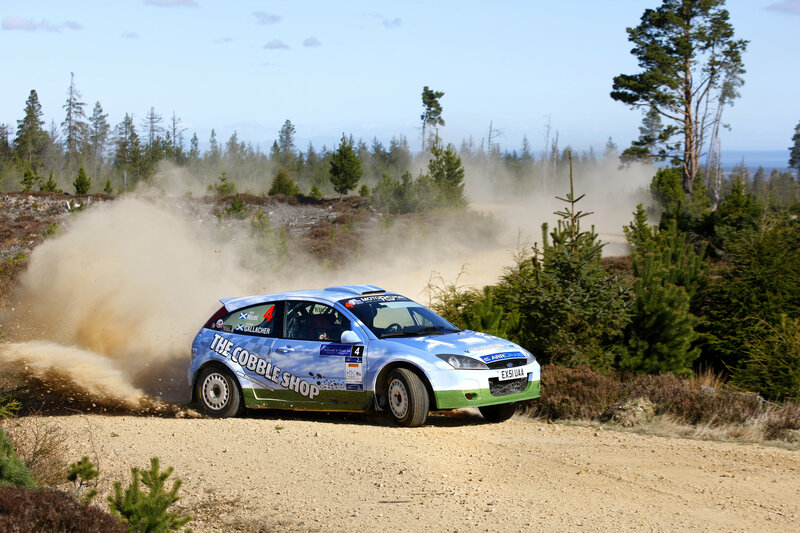 Obtaining a free entry into the event courtesy of his Scottish title, Gallacher is looking to take his third ever rally win in Wales having finished second on this event four years ago. Fresh on the back of a maiden SRC podium a fortnight ago, John Wink is another expected to go strongly in Wales with co-driver John Forrest. The pair start at three in their Hyundai i20 R5, keen to build on the fifth place finish they secured on this event last year. Simon Hay / Calum Jaffray and Alan Dickson / Martin Forrest head the Mitsubihsi contingent at car 11 and 12, with James Gibb and Ellya Gold also confident of springing a surprise in their Lancers. Niall Cowan Jnr and Thomas Bruce are another crew to benefit from the Road to Wales scheme with a free entry into the event thanks to securing the Scottish Junior Championship on the recent Galloway Hills Rally. The MG ZR pairing have never contested a rally as demanding as Wales Rally GB before, but are looking forward to the challenge. 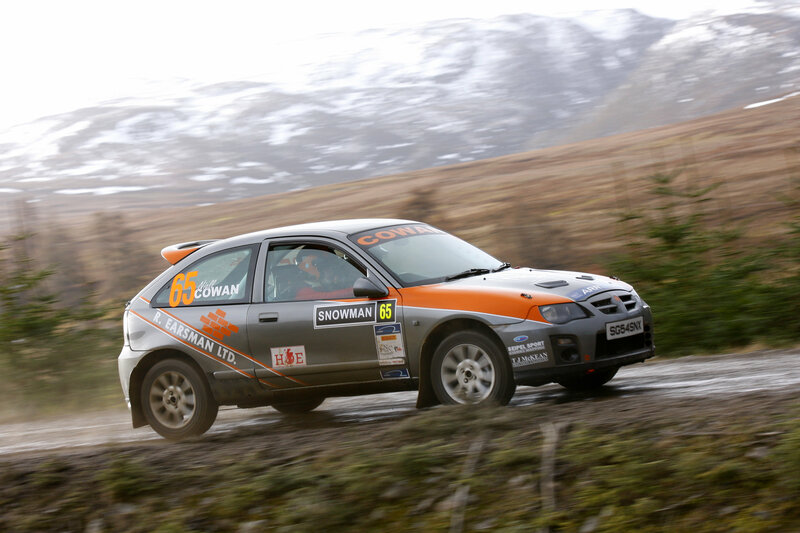 “Competing on Wales Rally GB has always been a childhood dream of mine,” Cowan Jnr said. “I’ve always watched people tackle some of the stages and thought one day I’d love to do the same, and this might be my only chance. “I’ve never done a two day event so the mileage and experience will be a trophy in themselves. Getting to the finish would be a successful weekend for me as I do take pride in car preparation as well as good results. “I’ve never been to a WRC event so the atmosphere will just be incredible,” he continued. “I’m really excited about the 18 mile stage on Friday, that’ll be a proper test. Pacenote work is key as Jock Armstrong keeps drumming into my head so the plan is to refine them as best we can. 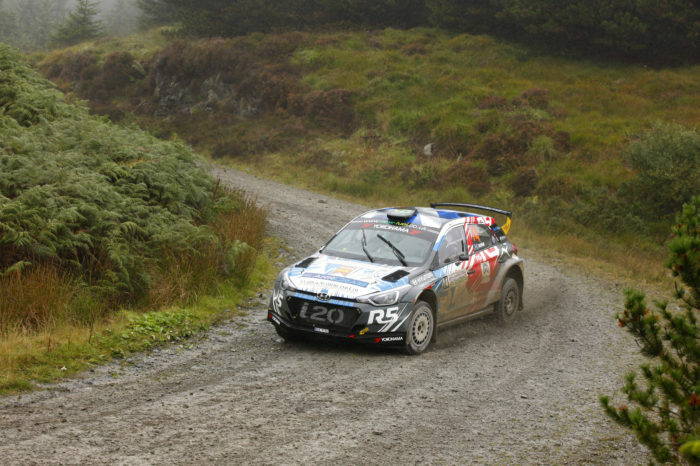 The Wales Rally GB National Rally begins on Friday 5th October, concluding the following day on Saturday 6th October. Make sure you come and visit the SRC corner of the Deeside Rally Village if you are around the service park next week.